Album Review: Of Mice And Men - Defy - GENRE IS DEAD! Within one day from now, the four-piece Southern California lineup of Of Mice And Men will release their new album. Bringing out a new album after major changes within a band is exciting yet somewhat insecure. It’s always a question whether or not the music will change as well, and how the audience will perceive the record. 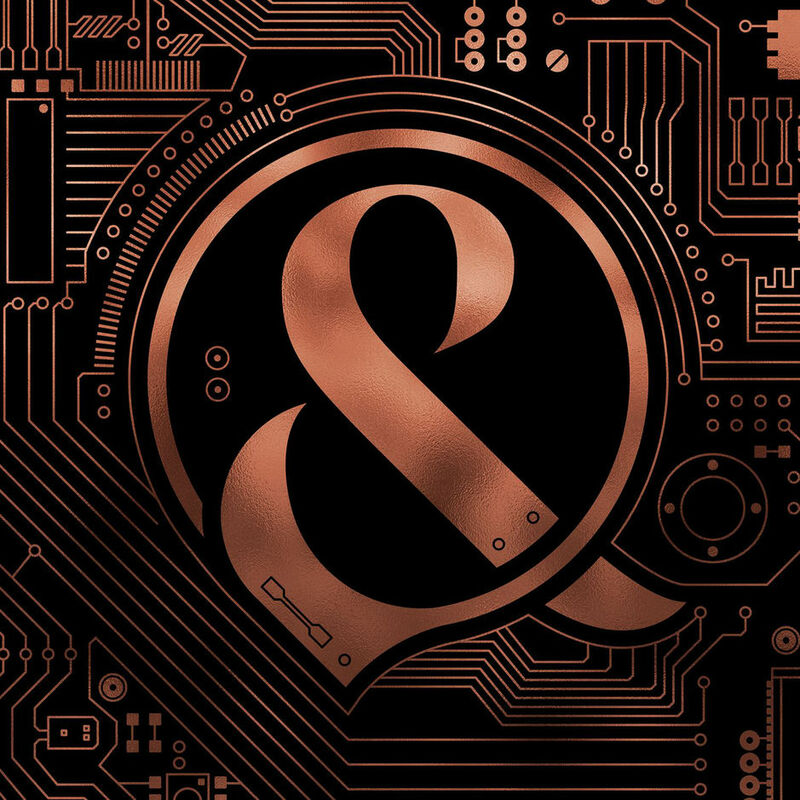 Defy, the fifth album of Of Mice And Men, shows that even without their former frontman Austin Carlisle present, the music and band is still true to their own identity. This statement was made with their first single of the album “Unbreakable” (released on 23rd of April 2017). The title of the track describes exactly what the band is. No matter the problems that are being thrown at them, the band continues to stay strong and just as the ending of the song captures they will remain. Furthermore, Aaron Pauley – bassist and now vocalist of the band – proved himself worthy of his new role as lead singer; not only in this specific single but also at every festival they have played since they remained to be four. The second single of the album that was released on the 22nd of May 2017 “Back To Me” is all about carrying on without Austin Carlisle. Needless to say, with these two songs the bars for a new record are quite high. So what can we expect from the album? The album starts off with the title track “Defy”. The song further emphasizes that things actually haven’t changed at all. Along with “Instincts”, the tracks lean on heavy guitar riffs and go back to their metal core roots that we love so much about them. After these two songs, there is room for the clean vocals of Aaron, which can be heard in the more melodic songs on the album such as “Back To Me”, “Sunflower” and “Virtigo”. Surprisingly they have also recorded a cover of “Money” from Pink Floyd, which works out quite well. The sound effect of money at the beginning of the song is something I particularly liked. It just gives an extra layer of sarcasm to what the song conveys. What makes the album so good is that throughout the process, the band has had the crowd in their minds. One song in particular that is heavily inspired by live shows is “Warzone”. ‘We were thinking of circle pits and crowd surfers,’ drummer Valentino “Tino” Arteaga explains. ‘We’ve always been a live-oriented band. This taps back into a place where some fans may feel like we left. It’s a very dark track. Lyrically, it’s about the phases of a panic attack.’ The song has heavy guitar riffs, screams and grunting of Aaron and a LOT of energy. I predict this song will do very well live and will have some massive circle pits during the performance. The album continues with this heap of energy with “Forever YDG’n”. As Tino explains: ‘‘YDG’ is short for ‘Ya Dig,’ which asks the question, ‘Are you with it, or are you not?’ You have to be the proponent of positivity in your life. ‘YDG’ means to believe in yourself.’ And that’s exactly the other reason why the album is so damn good. Of Mice And Men is showing us that we can conquer anything that life is throwing at us. The album closes off with a song that according to Aaron is probably the most meaningful song on the record. In comparison with all the other songs, this song is the only acoustic one and is heartbreakingly beautiful. As a diehard Linkin Park fan, the inspiration for the song hit me hard. ‘We were all together when we got the news that Chester Bennington had taken his life. We toured with Linkin Park, and his music affected my life. He was somebody I would text at one in the morning when I saw something funny or ask for advice about my voice or what to do when touring gets hard. We all broke down crying. It details missing somebody. If we were both ghosts, we could do so much together, but I have to wait until I get to the other side. I never did get to say goodbye,’ describes Aaron. These feelings of missing someone, the chance of not getting to say goodbye is the raw vulnerability you hear in the song and the subject is so relatable. The band is touring the US in January and February, followed by Europe in March and April. Tickets and dates can be found on their website. Pingback:Of Mice & Men Release New Single 'How To Survive' - GENRE IS DEAD!